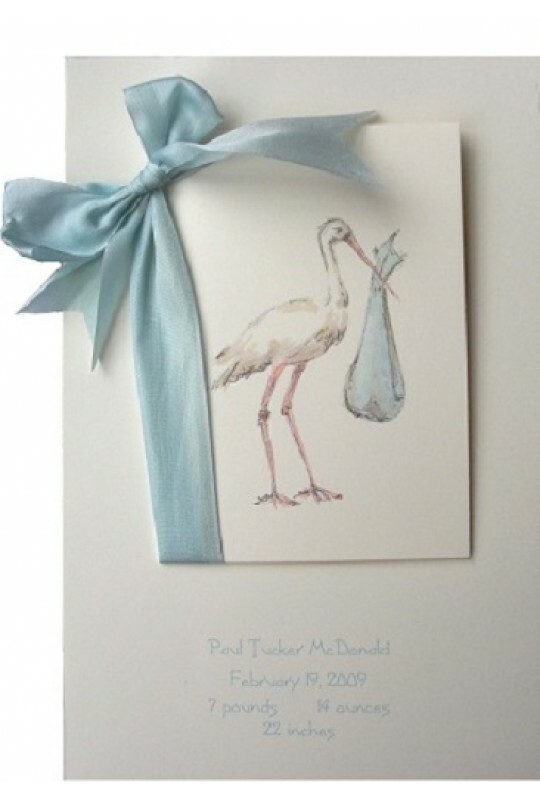 This gorgeous 5.5 x 8.5" multi-piece invitation features a stork carrying a bundle of joy. The demi card, with your wording, is tied to the main card with a blue silk ribbon. 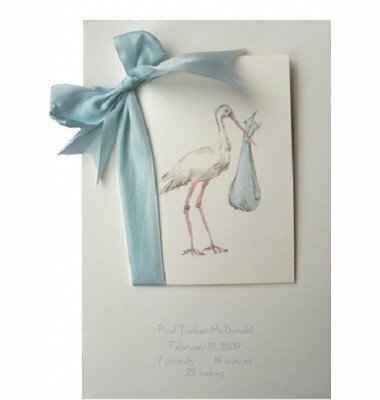 Elegant and sophisticated, this card is perfect for use as an announcement or as a shower invitation. Envelopes included. Attachment of ribbon required. This product requires assembly, would you like us to do it for you?